We use this term for all programmable controllers that use a modern programming language such as C, C++, Labview, (etc.) and do not use ladder logic (as in programmable logic controllers, or PLCs that can be found in its own category on this site). These programmable controllers come in a wide variety of controller types and sizes to fit your specific application needs. 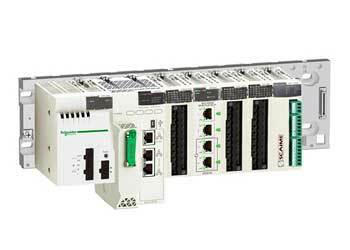 Programmable Automation Controllers (PACs) are commonly used in industrial control systems or process control applications. PACs are often found in systems with a high percentage of analog I/O, in systems with extensive network interface requirements or in systems with direct user interaction requirements. There are other programmable controllers such as PC-based controllers and microcontrollers. A microcontroller is a small computer (SoC) on a single integrated circuit containing a processor core, memory, and programmable input/output peripherals. Programmable microcontrollers are designed to be used for embedded applications.